Oh my goodness – progress!! 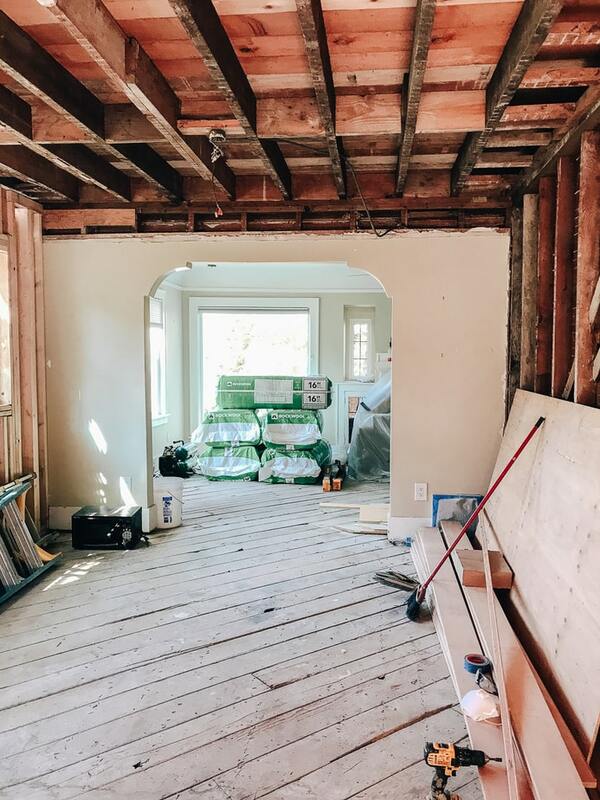 If you are just joining me, you can catch up on our renovation here and here and you can also see the before of our house here. In the past couple weeks we have completed painting the exterior trim and siding. We chose Naval by Sherwin Williams for the base (that’s the top color in the photo above for reference) and Extra White by Sherwin Williams for the trim. It looks great! A fresh coat of paint can do wonders for your home. I think it’s one of those things that will give you the biggest bang for your buck in terms of changing up a look. Now, it was quite a shock when we first saw the navy paint go on. We had a beige house (see photo above), so to see it dark was a little – Whoa! But after letting the paint do it’s thing and dry completely, it’s so gorgeous you guys. I can’t wait to show you the whole thing. Speaking of Naval – I highly recommend the color. It’s a muted navy color and it fits in very well with our neighborhood. Believe it or not we actually contemplated white colors and red colors and gray colors but ultimately decided to stick with our first choice and what was true to our community. We were also afraid that white and light gray would get dingy fast, after all, it rains so much here in Seattle. I’m so happy we decided to go with our guts on this one. We also spruced up our front entryway a bit. Previously – this was a square doorway and it wasn’t centered and it just never looked right. It felt off. So, the suggestion made by our builder was that we round off the doorway to match the rounded vent above. It looks SO much better this way. It feels more elegant. The drywall has been completed in the home too. It’s not painted yet but it’s nice to see some walls up there. 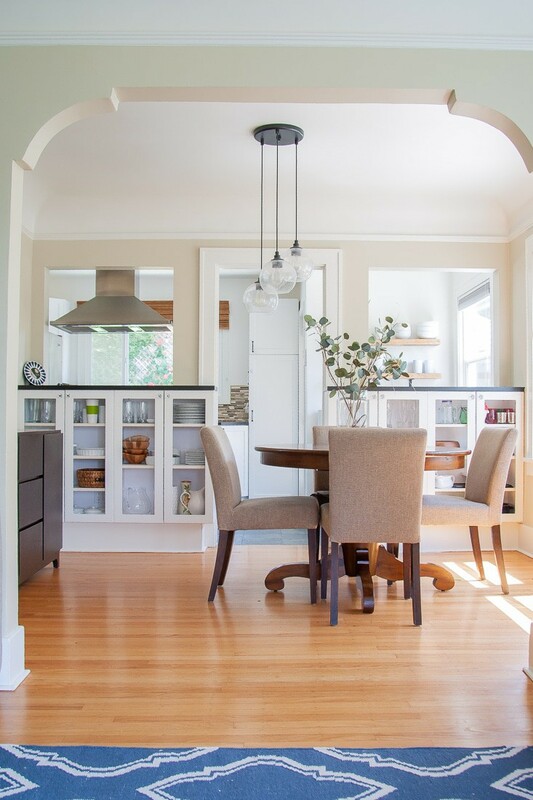 These two photos below are going to be our kitchen and dining areas. Well – that’s all for now. What do you guys think so far? So different, right?